Summer is coming and I’ve got the ultimate list of ice cold snacks for you! You’re kids are going to be rummaging the fridge from sun up to sun down and you want to be prepared. Take a stroll down the frozen section of virtually any grocery store and you’ll likely spot more junk food that you can shake a wooden ice pop stick at. Most ice pops and frozen treats contain high fructose corn syrup, artificial flavorings, food coloring, and absurd amounts of refined sugar. You don’t have to second guess the 10 icy superstars in this round up though. Every one of these delectable creations features a fruit or a vegetable and will likely win over even the pickiest eaters in your crew. Summertime is the busiest time of year for most families with all the get togethers, sporting events, and camping going on. 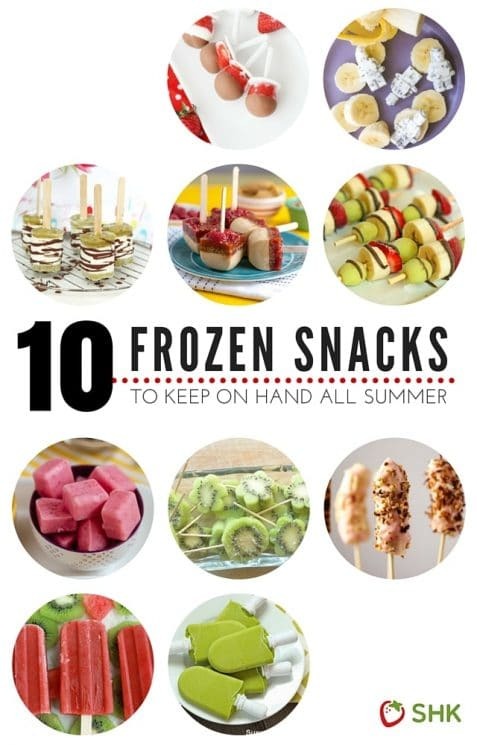 Stay cool and save time by having these grab and go snacks at the ready! 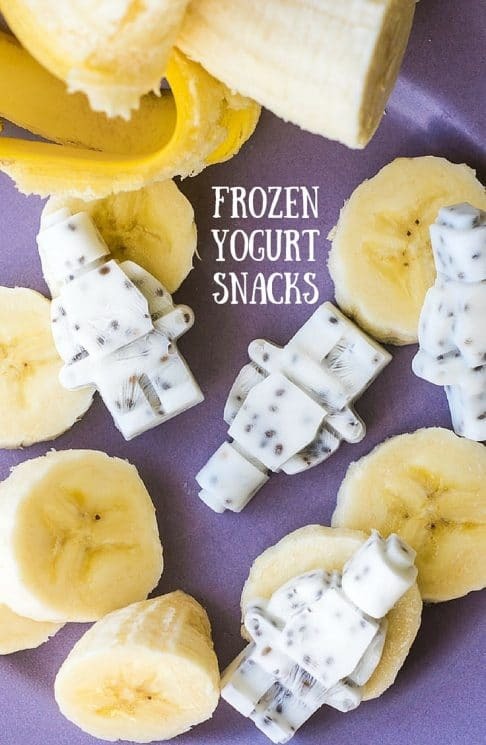 Snacking has never been so fun than with these Healthy & Fun Frozen Yogurt Snacks. What little one wouldn’t want to get their hands on these snacks made with the cutest robot molds. So versatile you can make them in any of your favorite yogurt flavors! Everyone loves peanut butter and jelly right? 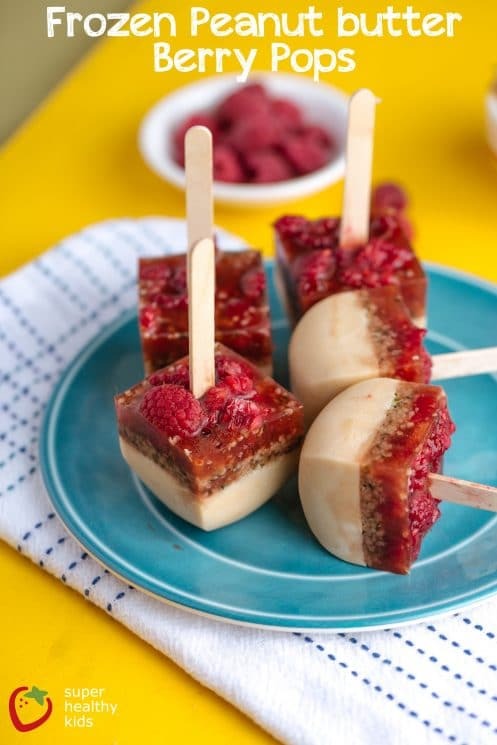 Take it to the next level and have these Frozen Peanut Butter & Berry Pops as a healthy and delicious snack. Make them in mini molds for an extra fun snack the kids will be excited to eat! 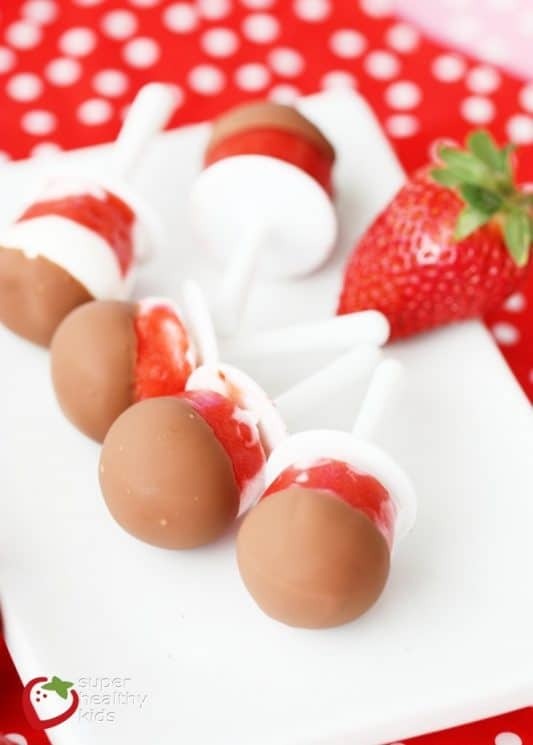 Snacking is more fun on a stick! 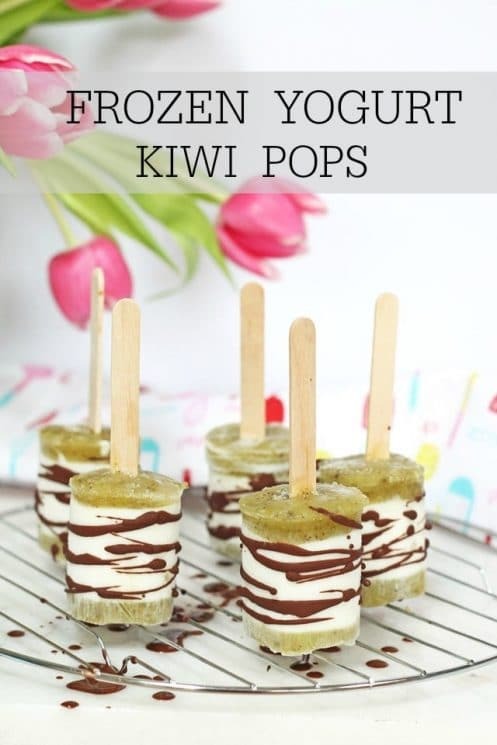 Layer your favorite fruits on a kabob and the kids will come running. Drizzle them with a little bit of chocolate and they will come running even faster! 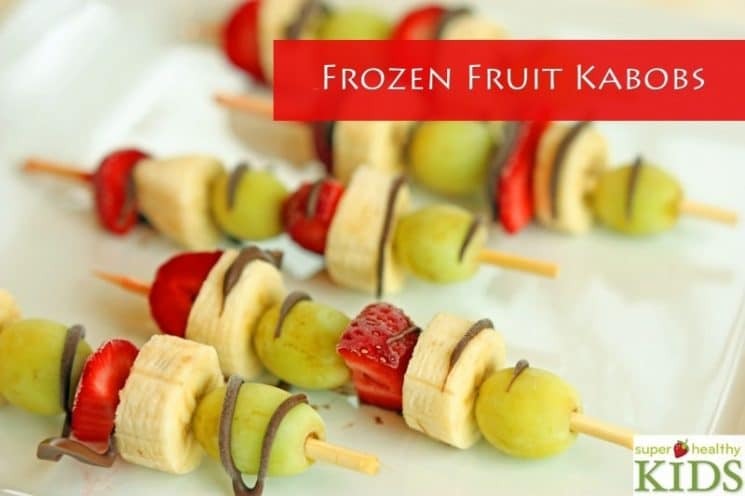 Stock some of these Frozen Fruit Kabobs in your freezer to have on hand all summer long. 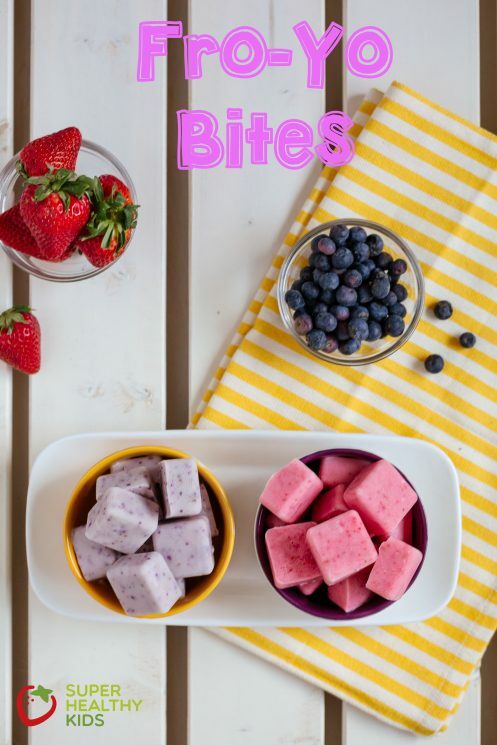 Would you believe me if I told you that these FroYo Bites only require two ingredients per flavor? Yep. Only TWO ingredients. Super healthy, super delicious and super easy. If you want them cute and square like these all you need are ice cube trays. 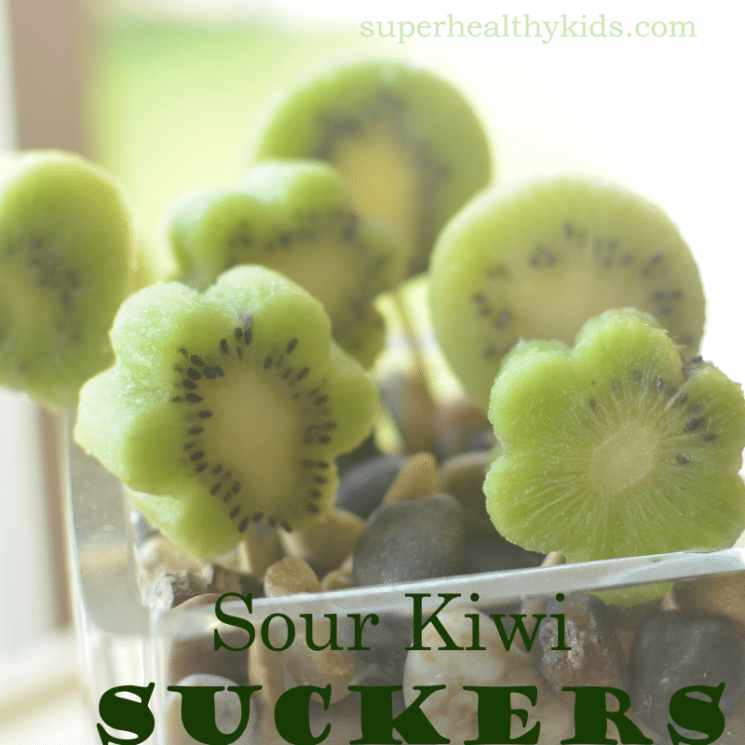 Instead of sour candy, why not make Sour Kiwi Suckers instead, then you don’t need that fork to enjoy it. Frozen fruit is the PERFECT summertime snack! “I dipped, banana fell off the stick, into my bowl. I dipped again, yogurt wouldn’t stick to the banana. So I spooned the yogurt onto the banana instead, while the banana lay helpless on my paper plate.” Did it work? 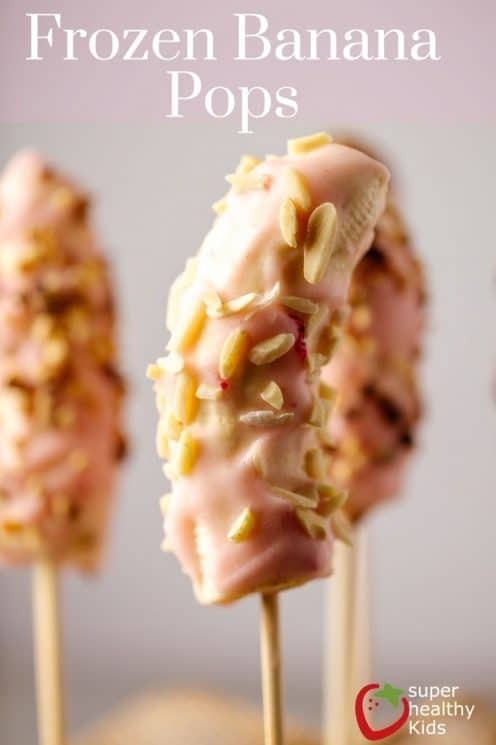 Find out the best way to make Frozen Banana Pops to have success every time! 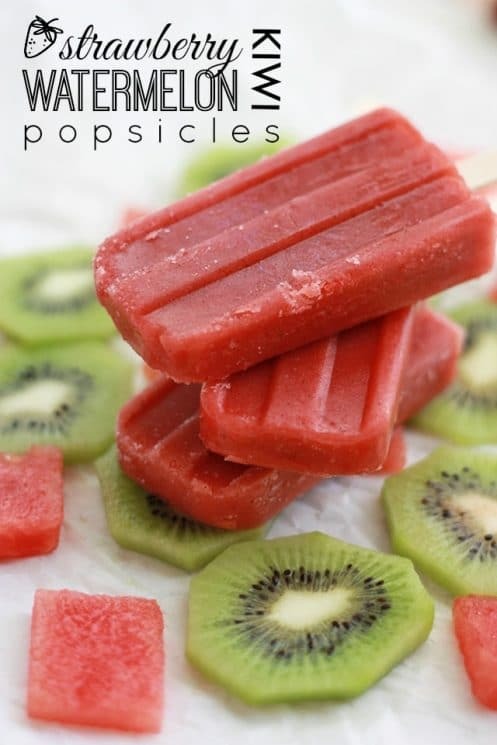 “Strawberry Watermelon Kiwi Popsicles are our summer lifeblood. They’re light, fresh, and healthy. My little ones love mixing up different concoctions in the blender, and I love knowing our afternoon snacks are full of fruits (and sometimes veggies! ), free from any added sugars, dyes, or artificial flavors.” Find out what else Emily thinks of these great treats – jump over to the link to check it out! If you feel like it’s hard to get your kids to eat greens that ends now. 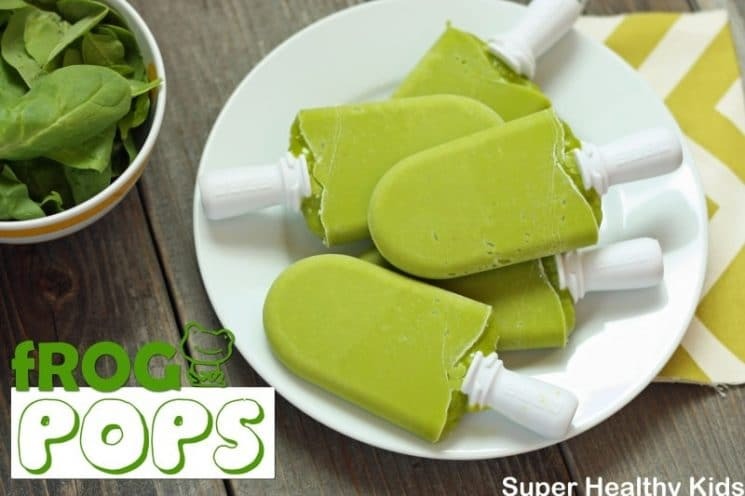 They will have so much fun eating these Green Frog Pops the will be asking for them all the time. It’s a win/win. They get a cool treat and you give them the nutrition they need! When she’s not at work or spending time with family or friends, chances are you’ll find Yvonne in the kitchen wearing an apron and a smile. Be sure to grab her free eBook 10 Super Foods for Breakfast. Super Fast, Super Easy, & Super Tasty! for the ultimate way to kick off your morning!